Chun (Jeung Hwa) Elmejjad-Yi is President of Millennium Wealth Management Group (MWMG) and Financial Consultant & Retirement Planning Specialist in the American Division of AXA Advisor, LLC. 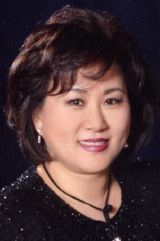 She is fluent in Korean and English and has about 25 years of experience in comprehensive financial strategies helping individuals, business owners, and corporations to build their financial future and to grow their businesses. She has received many awards for outstanding customer service and performance from the Million Dollar Round Table. To stay on top of her field and to develop her professional skills, she has regularly attended industry training and certification programs. This includes completing the coursework for a Certificate in Retirement Planning from Wharton School, the curriculum and rigorous exams for the Life Underwriter Training Council Fellowship (**LUTCF), obtaining FINRA Registrations of Series 6, 7, 63, 65, 24, and holding Life and Health Insurance licenses. Her other admirable community services and activities include the National Institute of Family Counseling (NIFC), the Vocational Schools of the Korean American Association of Northern Virginia (KAANV), and the Global Children Foundation (GCF). She is the Chair of NIFC (www.inifc.org), a board member of Vocational Schools of KAANV, and a lifetime member of GCF.